Before we drove home from Harpers Ferry, we knew we wanted to go visit Antietam. We decided to walk through the cemetery first. 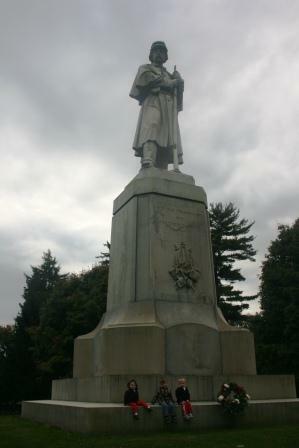 The Private Soldier Monument really towers over the cemetery, standing watch, day after day. 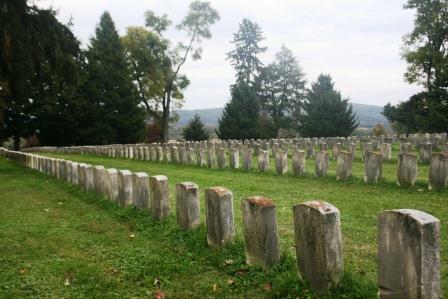 The view, over the battlefield, from the back of the cemetery. 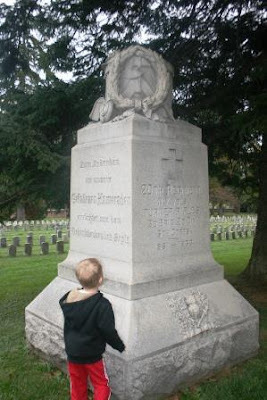 We were fortunate enough to have the cemetery entirely to ourselves this day, but even the boys seemed a bit awestruck by the visit. Honey, you had FOUR grandfathers who fought in the Civil War :-) Three were Virginia cavalry and one was a Tennesee Volunteer. What a nice post Lisa! We need to remember all the soldiers who have fought for our country from the very beginning. What a great place! You are doing a GREAT job of teaching your children so much history!! Kudos to you and your hubby! I love visiting historic, solemn places like that. 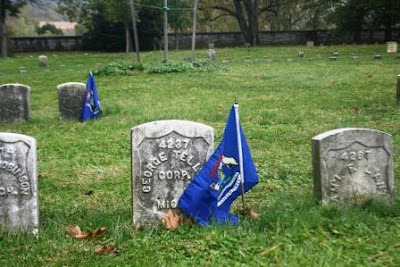 I'm sure you 'felt' the history in that place... my great GF lived in the northwestern tip of NC and was a Union sympathizer but was conscripted into the Confederate Army by force, he went AWOL and hid the the Blue Ridge Mountains near his home until the war was over... thanks for hosting. Wow! What a wonderful place explore! With Veteran's Day coming up it is so cool that your boys had the opportunity to see where veterans walked and lay to rest. beautiful..you and nancy were on the same wavelength today! 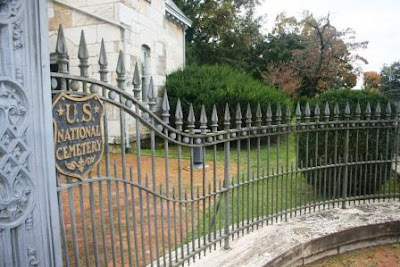 we didn't stop there on our trip to harpers ferry...but we need to make it a trip for sure. my ggg grandfather (i can't remember how many greats back) was in the civil war along with his brother. 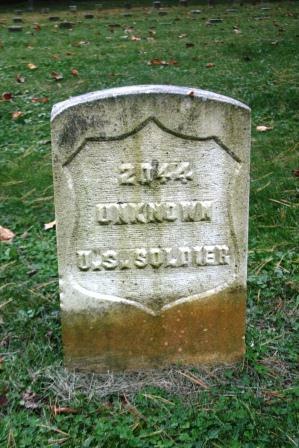 his brother was killed in gettysburg. my husband had 2 ggg grandfathers in the war (again, can't remember how many greats back) and one was on the north and one on the south, their children married! it truly was brother against brother. Very interesting! 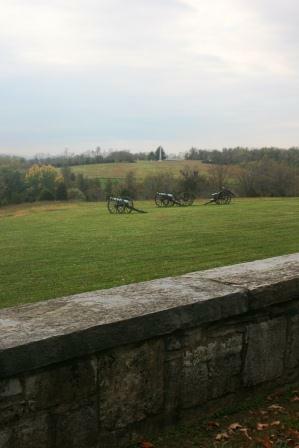 I have been to a lot of revolutionary war sites, but not any civil war sites. I love the history! Solemn is the perfect description of an outing like that. such incredible history - and yes, very solemn. Great pictures! I love how many places you take your children! 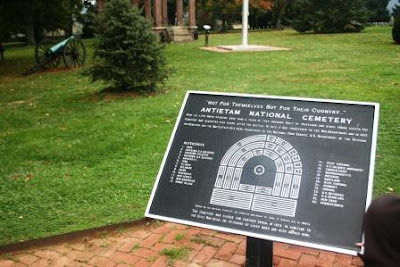 One of my ancestors died at Antietam, so I'd love to go. Thanks for sharing these photos--they give a wonderful view of the place. The old cemeteries are some of the most beautiful, peaceful places around. I love going to them. My Hubs probably thinks I am a little morbid. Looks like an incredible place. I am not a history buff, but cemeteries interest me. 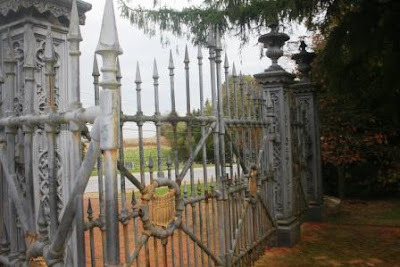 I don't believe I've ever seen photos of this cemetery before. These are wonderful! I am so glad you took the time to visit the cemetery. I love walking through a cememtery and it would be an honor to walk through one with those who have given their lives for us to have freedom. Lisa...this cementary is very impressive. So well taken care of...very nice to see. When I was a kid, we used to play hide and seek in cemeteries. Not fun when you trip over a stone in the dark. A moving tribute to so many brave men. I am always awed by historical sites...they seem to each have their own spirit. I just love and revere them. I'm not at all surprised to hear that your boys felt it in the cemetery visit. That would be a very solemn and somber experience. I think it's good that you exposed your boys to that at a young age. Thanks for the photos. This is a wonderful place. Beautiful photos. Great ! A somber and lovely tribute. Wonderful shots of this historic place. 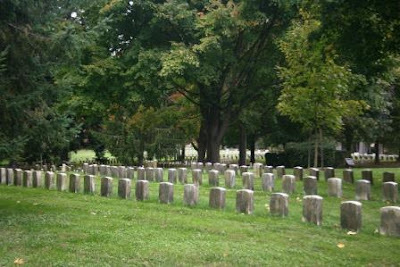 I visited a civil war cemetery in MS with my dad a few weeks ago, but it wasn't as impressive as this. I can see why the boys would be awestruck. Yes, precious pictures, really a solemn experience. Really old cemeteries are really interesting to me. your photos are beautiful. I am always thankful for the ultimate sacrifice the soldiers have made for us! I would love to visit that Cemetery one day. Those cemeteries always are so sad; thinking of the loss of dang near everything...life, hopes, dreams, etc. I can see that it would definitely make quite an impact. That's quite a place. I have been to both Harper's Ferry and Antietam. Both excellent experiences. Wow, cool place to visit! I can't begin to imagine that so many soldiers lost their lives there. sort of a sad outing eh? Beautiful captures. Many people would remind of sad memories in this cemettery. Wow what an impressive cemetary and a fascinating place to visit. An awesome post in view of the upcoming Veteran's Day holiday. I LOVE Civil War battlegrounds and sights. Luckily, I don't live TOO far from Gettysburg so I can get my "fix". Great shots! Wonderful visit in honor of Veteran's Day. 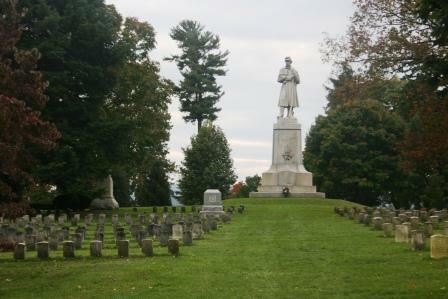 It's wonderful to see the cemetery in such great condition. A timely post for this weekend's Veterans Day! 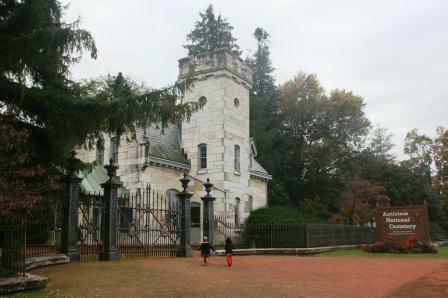 Those iron gates and fence are certainly ornate. I'm so late getting around to Rural Thursday posts. Thanks so much for your visit this week and your time spent hosting.